*Please bring your completed form (signed) along with $5 if you have not already turned it in to the school office. Ice Cream Social Fundraiser following the Spring Concert! The High School Spring Choir Concert is on Thursday, May 5th @ 7:00p. There will be an ice cream social fundraiser for the Cardinal Singers following the concert. The cost will be $1.00 per scoop. Come and build your sundae! Don't forget to checkout the CHS Art Show during intermission in the Library! Congratulations to the spring inductees of the National Honor Society: William Tidyman, Mark Taylor, MiaKayla Koerber, Hunter Hawk, Katarina Dodd, Brooks Roberts, Alexandria Nobiling and Myia Hamaker! 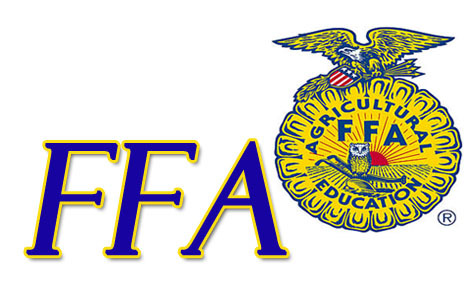 Chadron FFA Shines at State! Chadron High School recently took 25 students to Lincoln to participate in the 2016 Nebraska State FFA Convention. These students had to qualify at districts earlier this year. At the State Convention, students have the opportunity to ribbon as a team, as well as an individual. Thank you for a memorable convention! It’s a highlight for us to see our chapter in action at the State FFA Convention and in Career Development Events because this is only our 3rd year in existence. Congratulations to all participants; it was an honor to have them represent our community and school! 2,800 students participated in a Career Development Events (CDE) last week. Our students at CHS qualified in the areas of: Ag Technology & Mechanics, Natural Resources, Agriscience, Nursery & Landscape management, Agronomy, Livestock Management, Ag Biotechnology, Meats Evaluation, and Junior Livestock Evaluation. In addition to our career events, three individuals qualified in the Leadership Skills Events (LSE) of Junior public speaking, Senior public speaking and Job Interview. Only two students from each district can qualify for the Leadership Skills Events (LSE). Overall, our 6 seniors, 1 junior, 10 sophomores and 7 freshman did a remarkable job! Our chapter competed in multiple events for the very first time at state convention. We keep in mind that today’s agriculture education students will be the leaders and innovators of the future—responsible for ensuring a safe and stable food and fiber supply for the growing world. Nebraska FFA is dedicated to making a positive difference in the lives of students by developing their potential for premier leadership, personal growth and career success through agricultural education. Our Chadron FFA members continue to show courage, teamwork, and a willingness to step out of their comfort zone and see what happens! Just about to load the bus for the State Convention! 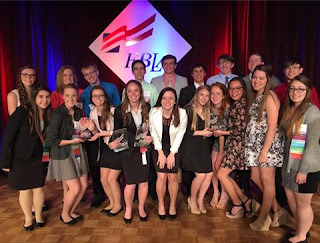 Chadron FBLA Qualifies 9 for Nationals! 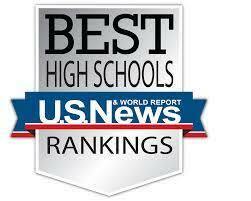 Chadron HS Wins Scholastic Contest!